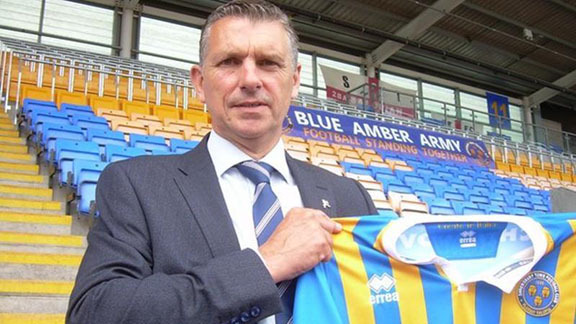 Port Vale have appointed former Macclesfield Town and Shrewsbury Town boss John Askey as their new manager. Askey, 54, whose father Colin played for Vale for a decade in the 1950s, succeeds Neil Aspin, who stood down as manager after 15 months in charge. The ex-Vale youth team player is back in management for the first time since being sacked by Shrewsbury in November. Askey, the League Two club’s fifth manager in three years, has signed a contract until the end of the season. Vale, who are 18th in the table, just six points above the relegation zone, have won just once in their past 12 games in all competitions. Dave Kevan, who played for and coached at Vale’s local rivals Stoke City, will work as assistant manager alongside Askey. Askey led Macclesfield Town to the National League title last season before leaving the Silkmen to take his first managerial post in the English Football League at Shrewsbury. Town had reached the League One play-off final in May 2018 under Askey’s predecessor Paul Hurst. But they struggled under Askey, winning just four of his 17 league matches in charge of the Shropshire club before he was dismissed on 12 November.